It’s a nurturing and calming approach to childhood healthcare and many common problems can respond well. Young children are often on the move or playing with toys as I work with them. I find it important to go with the flow and make contact around what they’re doing. It may be fleeting, but effective. Feel free to bring their favourite toy or book along to the session. Older children may be able to lie peacefully on the treatment couch – at least for a while. I will often chat to them as we work together to explore their own ‘felt experience’. This can be fruitful – I’m frequently impressed at how creative they can be at describing their own ‘inner world’! My experience of working with teenagers is that they can engage very creatively with their own feelings and body sensations during a session. This often means that they get a lot out of the therapy and the support it offers. Physical symptoms can ease alongside emotional concerns such as anxiety, depression and stress. The world can be tough and confusing for young people, but the gentleness of this approach can help them find a way to navigate. during your child’s session, if they’re 16 or under. So put your feet up, bring a book and enjoy the downtime! Children arrive in various moods, all of which can change in an instant. It’s all fine and to be expected. However, please be aware that I work within their attention span – so sessions can be shorter. You can expect something between half an hour to one hour – but it may be less. We can talk about this during the first session – but it’s very much down to each individual child and parent. As a general guide, you can expect more recent problems to resolve more quickly than longer standing issues. For some children one session is enough, but others benefit from a series of around four to six. 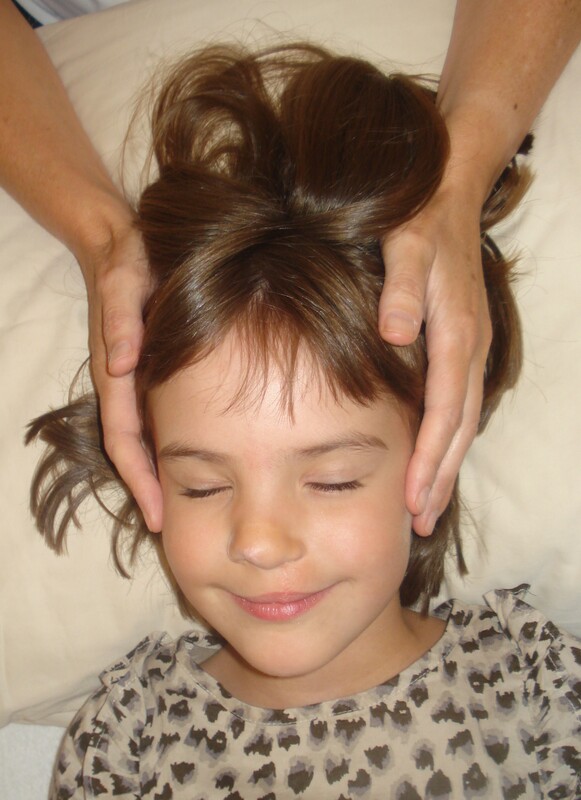 Craniosacral therapy is not intended as primary healthcare but to work alongside any treatment or advice from your doctor. The first treatment session provided noticeable relief (from recurring back pain), as have all subsequent ones. Importantly though, over time, the sessions have helped interrupt the pain pattern to enable a new and lasting equilibrium.